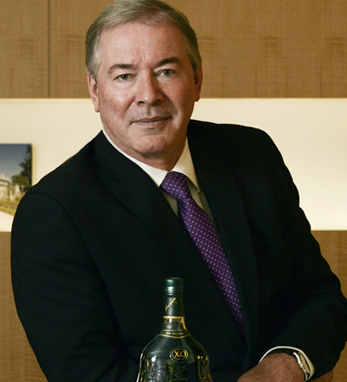 With over 30 years of experience in the beer, wine and spirits industry, Jim Clerkin became president and CEO of Moët Hennessy North America in November 2015, having served as president and CEO of Moët Hennessy U.S.A. since 2010. Clerkin began his career in Ireland, where he rose through the ranks at Guinness in a variety of roles to Executive Sales Director, becoming a member of the board of directors. He joined Moët Hennessy in 2008 to take on a new role as executive vice president and chief operating officer with responsibility for global brands such as Hennessy Cognac, Moët & Chandon Champagne, Dom Perignon, Veuve Clicquot Champagne, Grand Marnier and Belvedere vodka. In current role, Clerkin will helm the U.S. markets for Moët Hennessy, in addition to Canada and Mexico, both growth markets, which combined contribute to a volume of nearly 6 million cases annually. Clerkin was born in Rostrevor, Co. Down and has been involved with a number of charities including Co-operation Ireland where he serves as the chairman. He is the proud father of four children and resides in in Manhattan.